We were blessed today, unbelievably blessed. 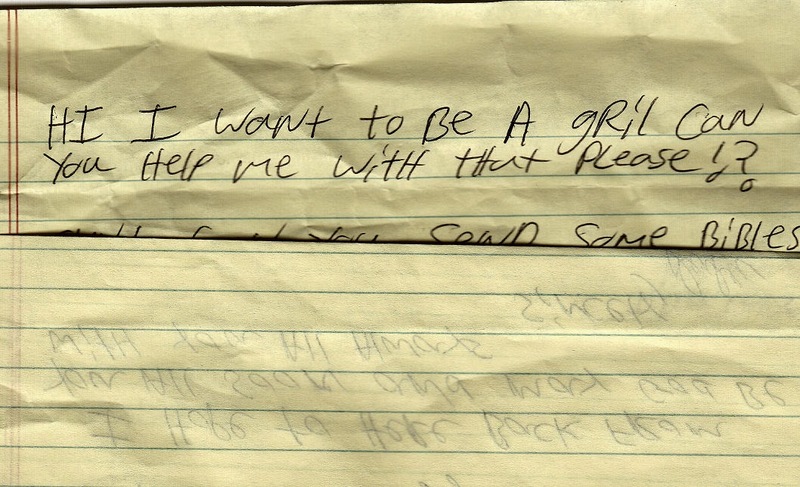 The plea went out Tuesday about being overwhelmed with mail and today people responded. 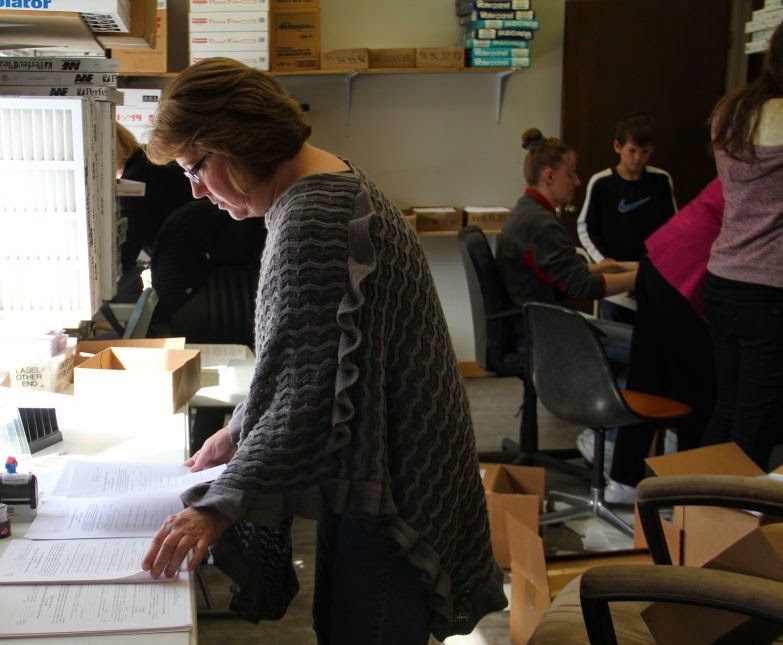 Our office was filled with wonderful willing volunteers. 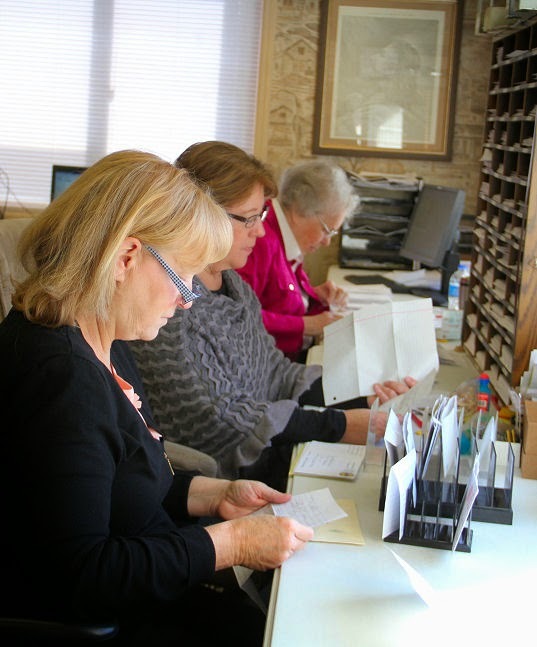 Above is Myrna and Diane reading the letters while Eve Jean works on the studies. 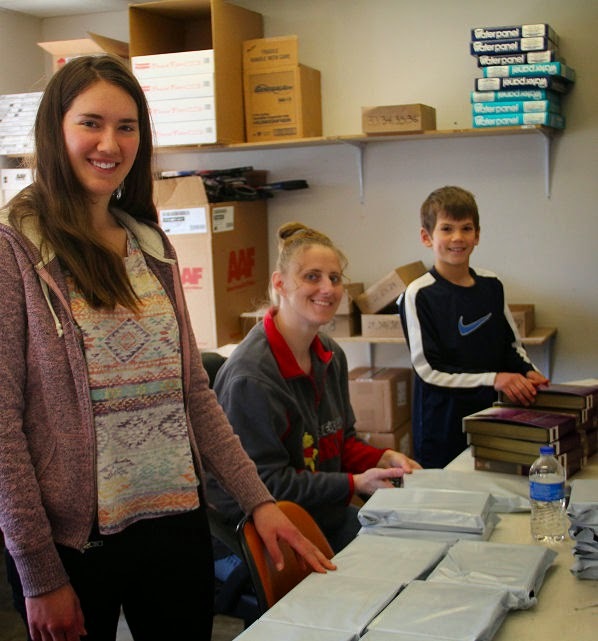 Below Maddi, Tiffany and Cooper are stuffing and labeling the Bibles. The jail ladies came here today instead of working at the jail. Beth and Myrna volunteer each Thursday at the Peoria county jail but this Thursday they came to give us a hand helping us catch up. Below Beth is working on the studies filling boxes for next Tuesday. 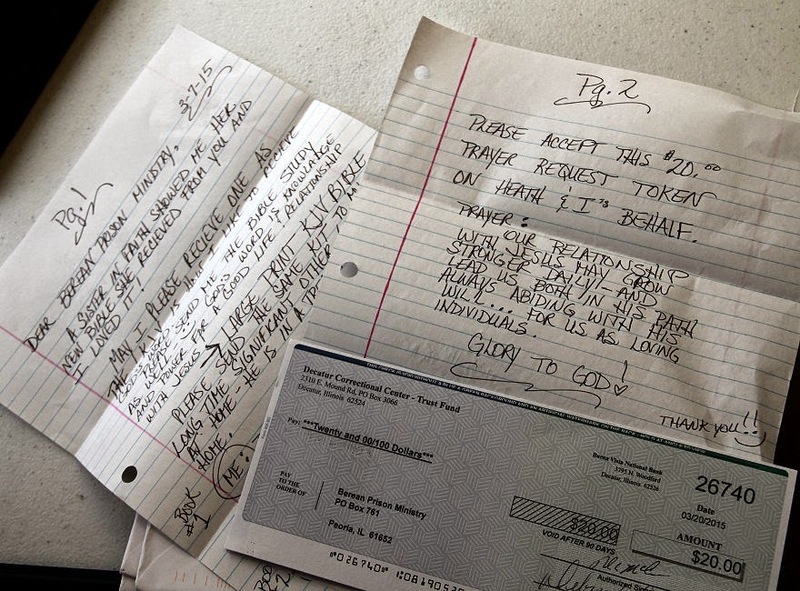 Below came a check for $20.00 from an inmate along with a letter asking for a couple Bibles. Below Tiffany is hauling the boxes of Bibles out to Diane's van while Maddi and Cooper are busy filling the boxes. There were boxes, papers and tape flying everywhere today but the productiveness from these helpers was amazing. 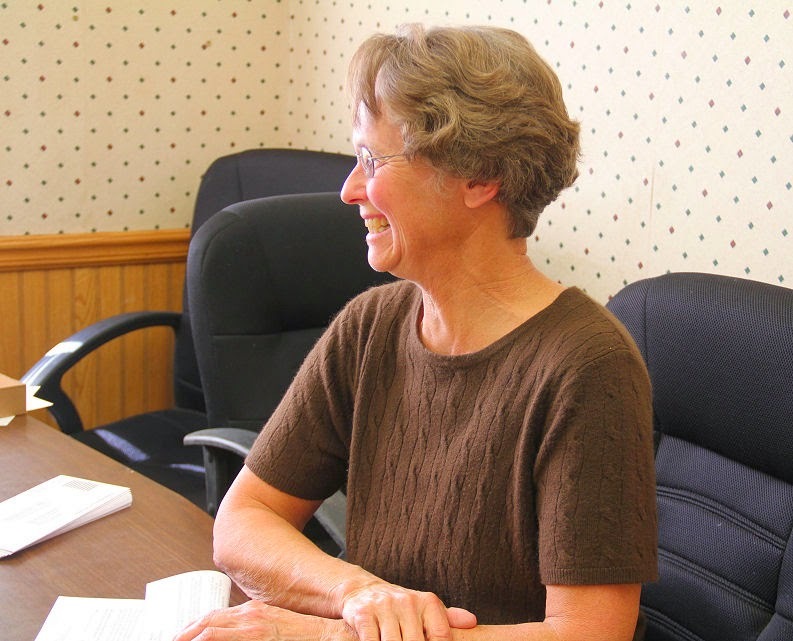 Below is a new volunteer for Berean, this is Janet. She was more than willing to do what ever was asked. 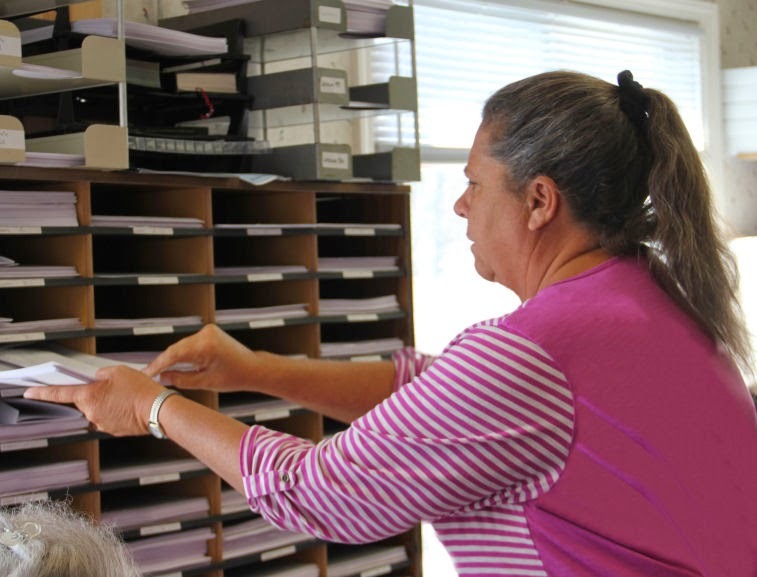 She and Joyce were put to work in the conference room filling boxes. One of the letters that came today was a new request, one that I've never seen requested in a letter in all the 21 years I've been working at this job. The first part of that letter is posted below. So how does one answer a letter like THAT? Not sure exactly what kind of grill he is thinking of. We were able to finish by noon. We had 350 Bible request this week and AGAIN ran out of postage by 50 stamps. Aunt Bernie ran down those and by noon we had them all stamped and loaded into Diane's van for the trip to the post office. A big thank you to Rachel Sauder who brought in lunch today for the volunteers.